Stay ahead of the competition with our cutting edge technology. Mine the most reliable and story-telling industry data using unique tools to obtain incredible results. Use our quick and reliable charting engine for advanced technical analysis on single or composite symbols. Hundreds of built-in technical studies, unlimited custom studies, chart tools and annotations guarantee effective and dynamic analyses. 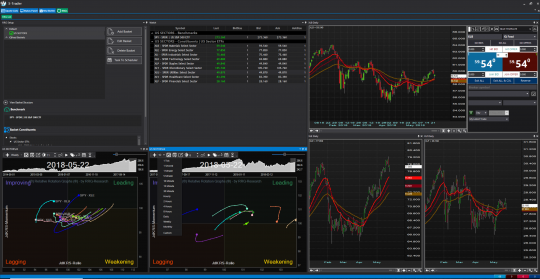 Our technology includes customizable templates and color themes, advanced algorithmic trading visuals, a full trading integration package and much more. Unique Relative Rotation Graphs (RRGs) assess and depict patterns of relative strength in related or unrelated markets in an aesthetically appealing and easy to understand manner. 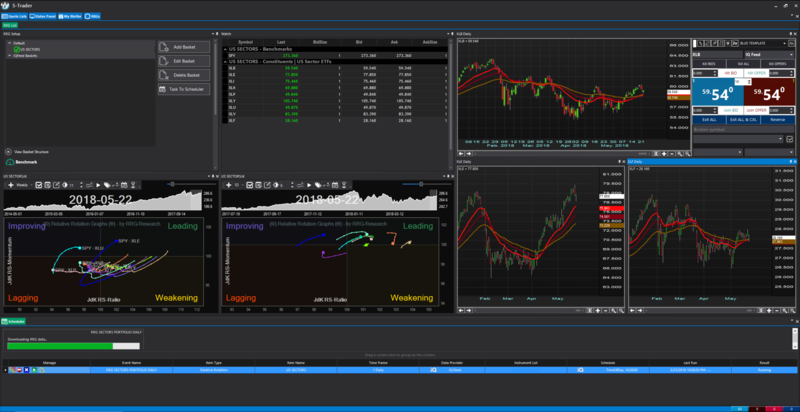 Zero learning curve scripting language to build any custom study, expert adviser or trading system you want. Use the code editor to write your own scripts or the code wizard to build your scripts using a drag and drop interface. Build simple Scripted Alerts or Loop Systems of any desired complexity for single instrument or spread trading. Validate built-in and custom studies over multiple time frames in binomial-tree-like logical sequences. Build advanced Portfolio Systems to evaluate individual investments and construct portfolio structures within pre-defined investment universes. Analyze portfolios based on any quantitative property or combination of such properties thereof. Understand relative strength as it results from the advanced Portfolio Matrix. Model relative strength curves to create objective inclusion-exclusion criteria. Trade directly from charts. Single or cross feed order routing with all popular order types and flags available. View trades, orders and positions on detachable charts that can be laid in any custom format on any pixel space. Schedule any data downloading job or other module runs at specific time intervals, at pre-defined times of the day or in specific sequences. You can choose from five S-Trader license families to perfectly match your trading technology needs with your budget. Multiple billing cycle options offer the right balance of convenience and savings. 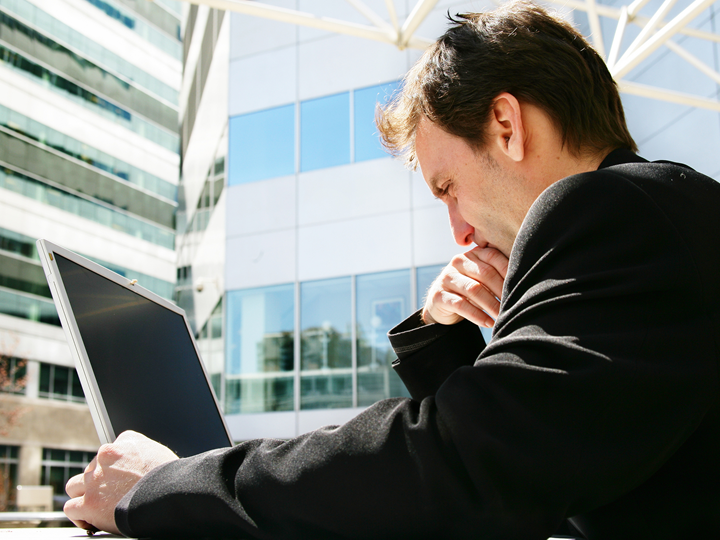 Conceived for the private trader and investor to provide great features and the best value. Built for the professional trader and portfolio manager to provide unique features and functionality. 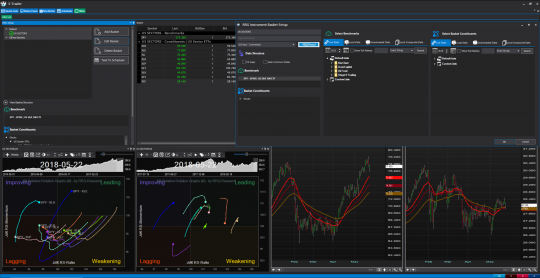 Preview our S-Trader Desktop platform features. 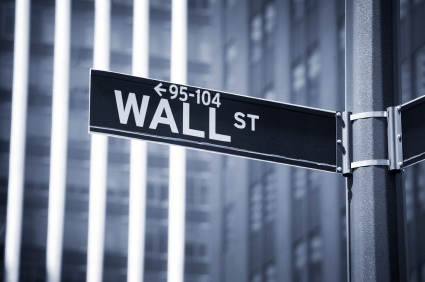 Trading education programs to teach you how to consistently make money in the markets. On-line courses and webinars plus one-on-one mentoring programs that help you develop a method of your own based on ideas and concepts that work and have stood the test of time for many decades. Comprehensive framework for reconciling market technicals with market fundamentals using scientifically-proven statistical processes. Understand individual markets, inter-market relationships and even societal impacts of financial trends. The S-Trader Academy programs will help you become a better trader or investor in more ways than one. We will teach you key aspects of market behavior and market fundamentals; but more importantly we will teach you money management principles and how to build trading plans based on proven strategies and structure, indeed we will teach you how to implement trades with discipline based on realities rather than wishful thinking. A range of value-added services focused on developing you as a more successful trader or investor, based on your objectives and constraints. Complementary Resources. And The Best of All Worlds. Bundle trading technology, trading education, trade ideas, trading system development and fintech consulting in any way you want. What makes S-Trader truly unique is the fact that we understand both markets and the multiple sides of financial technology. This means that we build all our products and services with the perspective of the professional trader and portfolio manager while making best use of the most recent technologies, including the sharpest and cleanest financial data available. 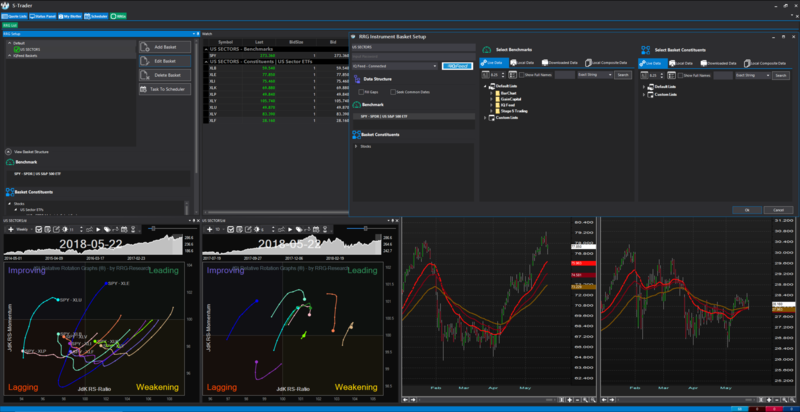 The S-Trader can be an eco-system of readily available, off-the-shelf solutions, a platform to develop your proprietary ones or anything in between. You decide. It is this way that together with our partners we propose fully integrated services and products in exceptionally economical terms and in essence deliver unmatched value to all our private, institutional and corporate clients. Other traders’ experience with S-Trader is nothing but positive. I wanted to take a moment and thank S-Trader for their platform/program. I have struggled for years bouncing from method to method and service to service trying to find the Holy Grail. Not only have I been a NET loser but even worse my confidence was totally gone. At S-Trader they took my situation personal and meticulously dissected my issues and quickly got me to realize that I must take ownership of every decision or click of the mouse. S-Trader provided me the tools and knowledge to do that. I am now able to use this tool to provide me a clear perspective of markets' behavior and to successfully participate in the twists and turns that make up trading. I am work-in-progress but will go to the end, this simply makes sense.